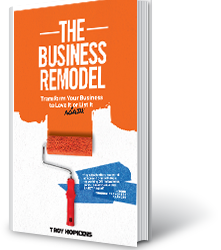 His business is out of control and his marriage is sinking. His biggest client jerks around his company, requiring untold hour putting out fires and coping with spec changes and pricing demands. He arrives home nights after his daughters are asleep and leaves mornings before they arise. His disillusioned wife wants at divorce. 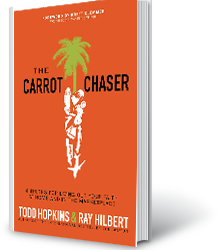 Roger sees no way out until a chance encounter changes his life Nighttime janitor Bob Tidwell offers Roger six directives for getting his life back. They require no earth shaking shifts in behavior, just subtle changes in intention. Like Recharge versus discharge; Don’t spend, invest and Pray, don’t pout. When Roger applies these simple concepts, he sees surprising changes – both in his family and his own energy and clarity. Too often we find ourselves losing sight of the important things in life – work and stress can sometimes be overwhelming. 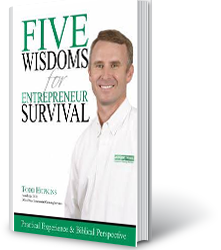 In this business parable, an unlike advisor counsels a CEO on how to succeed in business while holding his personal life together. Your job or business is a tool that God has given you so that you can use it to fulfill His purpose for your life. We often lose sight of the important things in life as work and stress become overwhelming. Each work activity should have some eternal significance helping to fulfill the purpose God created you for. Asking God for favor to understand problems and challenges and opportunities and for wisdom to handle them effectively will lead you to decisions and actions that will have an eternally significant impact on others. 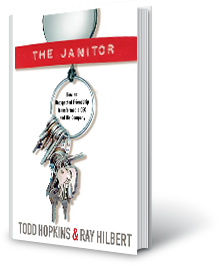 The Janitor’s message will capture your mind and heart; stimulate meaningful, lasting life-changes; and show you how to influence your family, neighbors, and coworkers while experiencing business and life to the fullest.